In a series of lectures organised by UCL's Centre for Transnational History, internationally renowned experts probe the origins, development and consequences of the current economic crisis. 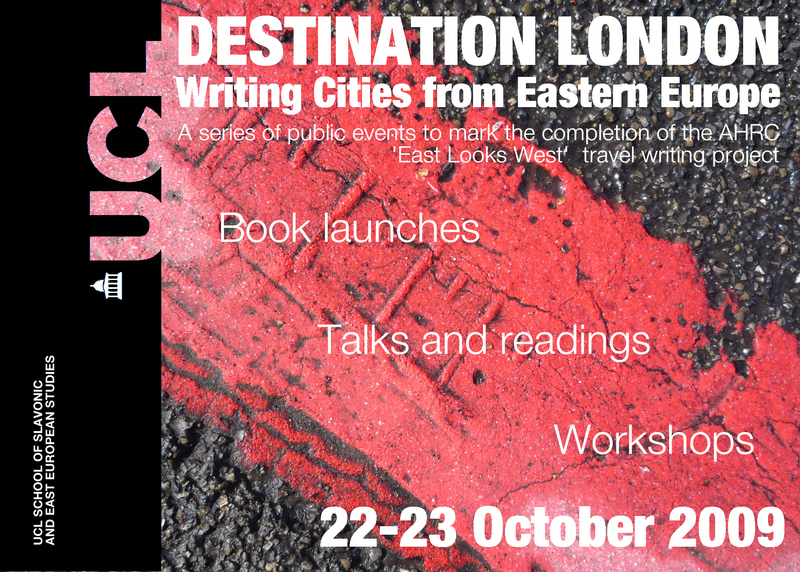 To mark the completion of the "East looks West" Travel Writing Project, Wendy Bracewell and Alex Drace-Francis are hosting a reception in the Haldane Room, North Cloister, Wilkins Building, University College London, at 6.30pm on Thursday 22 October 2009. Poet, critic and novelist Alan Brownjohn, and critic and memoirist Vesna Goldsworthy, will introduce the volumes of the series. There will also be a series of further public events at UCL - "Destination London" - to mark the occasion. For details of the programme click here.